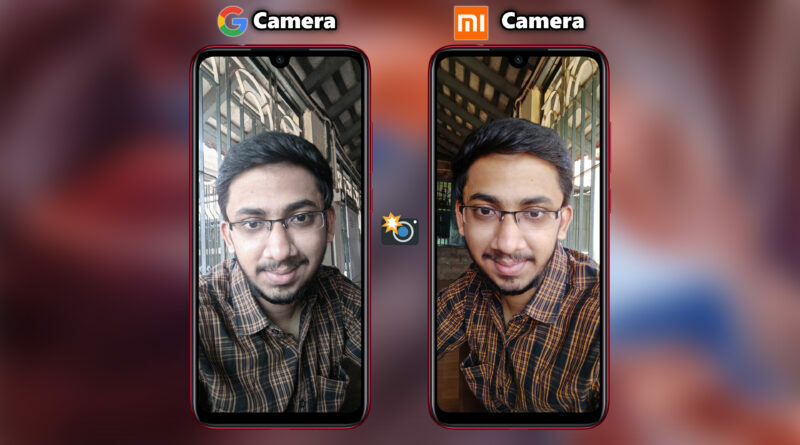 Redmi Note 7 Pro Google Camera - Camera Samples & How to Install? Xiaomi’s Redmi note 7 Pro is probably one of the Best Camera Smartphones available under Rs.15,000 in India. But what if we can make it even better by using Google Camera Port? That is exactly what we going to do today. But before installing and getting started with the Redmi Note 7 Pro Google Camera, do check out the video below where we have shown a ton of samples comparing the Stock Camera Vs Google Camera and also we have shown hundreds of samples testing out the Night Mode. Now before trying out the Google camera do note that Google Camera is having some issues as of now that I’ve explained in the above video. So please be aware of those before installing. If you have any Saturation issues, Go into Camera – Settings – GcamSettings – Saturation Adjustments and change the Saturation accordingly. For me the following Settings worked the best! If you have the Redmi Note 7 Pro, do try this Google Camera and comment down whether it worked for you or not. Also Read : How to Install Google Camera on Asus Zenfone Max Pro M2? மிகச்சிறந்த கேமரா விமர்சனம் வாழ்த்துக்கள் techsarire.com.யூடிபில் வரும் தங்களது அனைத்து வீடியோக்களையும் அவசியம் பார்க்கிறேன்.ஆனால் கமெண்ட் செய்யும் லிங் எது என்று தெரியவில்லை. How to install gcam in Samsung a50 bro? ?